Have you ever been through the Victoria International Airport (YYJ)? 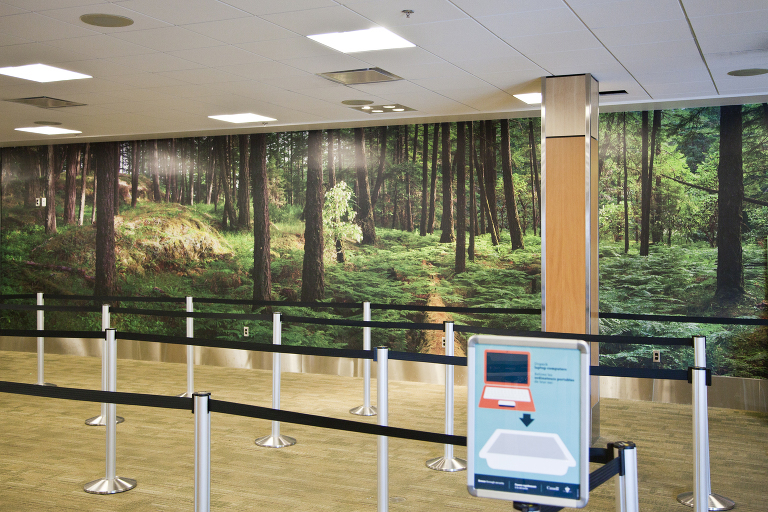 Then you may have noticed the 44ft panorama depicting a life-size west coast forest scene on the wall of the pre-board screening area. It is the largest photo project I have done to date and it is an honour to have had thousands of people view it on their way through YYJ. 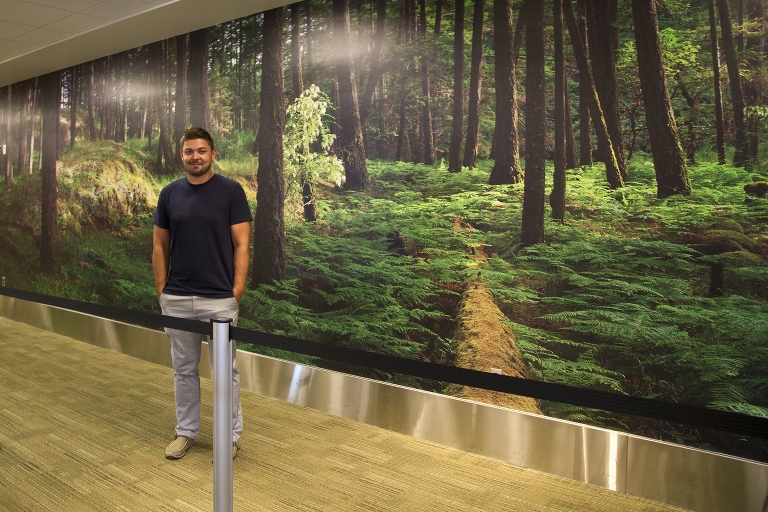 I was commissioned by the Victoria Airport Authority over a year ago to create a life-size panorama to fill an entire wall in the airport. In order to find the perfect scene to capture, I went on many hikes through some of Victoria’s most beautiful forests. I found the perfect shot at Francis King National Park in Saanich. To create such an enormous image, I had to stitch together 17 separate photographs into one giant 44 ft long by 8.5 ft high forest landscape panorama. This was definitely the largest image I have ever created! The intention of this art piece was to create a much needed sense of tranquillity for passengers going through the security line-up. 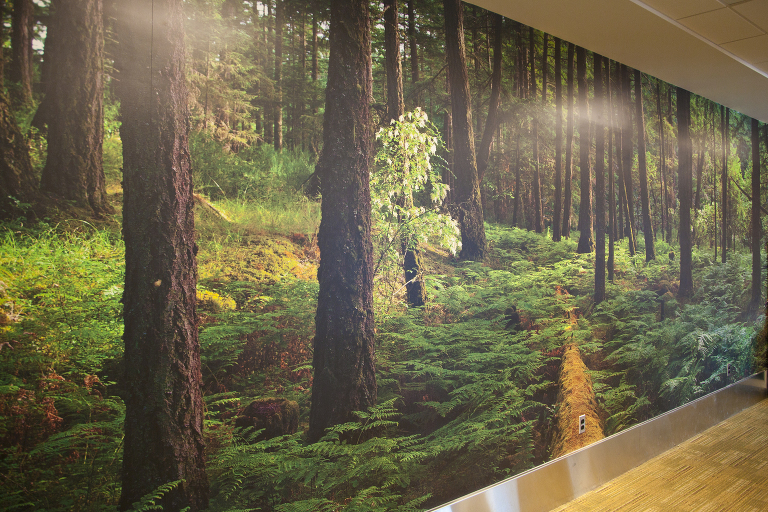 Check it out the next time you’re travelling through the Victoria International Airport, and let me know what you think!